The American South was a segregated society 50 years ago. 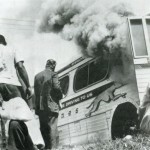 In 1960, the U.S. Supreme Court outlawed racial segregation in restaurants and bus terminals serving interstate travel, but African-Americans who tried to sit in the â€œwhites onlyâ€ section risked injury or even death at the hands of white mobs. In May of 1961, groups of black and white civil rights activists set out together to change all that. 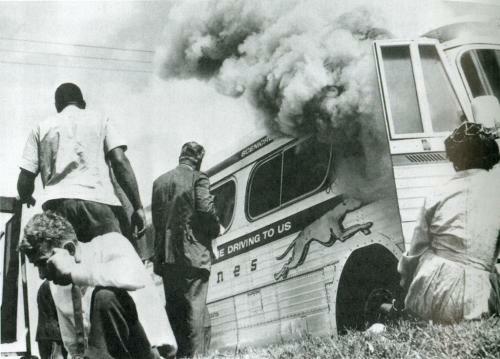 The â€œFreedom Riders,â€ An integrated group of young civil rights activists, decided to confront the racist practices in the Deep South by travelling together by bus from Washington D.C. to New Orleans, Louisiana.Â This is a brief look at what happened. Powered by WordPress v 4.9.10. Page in 0.550 seconds.